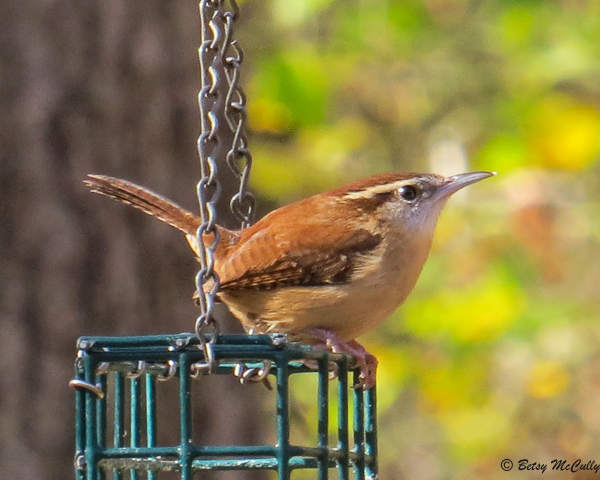 Carolina Wren (Thryothorus ludovicianus). Open Woodlands. Year-round.